How can E-commerce benefit your company? Walmart’s internet sales in 2016. E-commerce is a simple concept: turn a profit online. Tragically, the difficult part of e-commerce is to turn a profit. For some businesses, e-commerce has remained foreign; for others, it is a sole source of revenue–or better yet, an additional revenue stream. Retailers that can take advantage of the online space in addition to a brick & mortar location will enjoy an additional revenue stream. This blog was not written to sell anyone on the idea on e-commerce; rather, to explain how to get started with e-commerce (we shared our pros and cons for e-commerce in this week’s #MarketingMonday segment). Everyone enjoys tips, hints, and tricks. Here are the ones we find most useful to maintain a successful e-commerce store. Note: These tips are not for creating a business online. Those can be found on Forbes, Shopify, and Fit Small Business. At any moment, e-commerce can present a lot of unexpected problems. The circumstances will only be worse if the process is rushed. Introduce a few of your products and be well aware of the logistics. After that, expand at an appropriate pace. The shopping behaviors of people offline vs online are different. Convenience is key for online shoppers. Make the transaction as seamless, safe, and efficient as possible. A/B testing generally refers to the method of testing two different ad types to determine which ad will perform better. You can also A/B test your e-commerce portal: Color changes, different product pictures, descriptions, and contact information can make all the difference in marketing your products. Make this into a habit, adjust e-commerce pages on a regular basis to continually refine the marketing. A business’ success online heavily coincides with the brand’s online presence. Online shoppers scurry around the internet for product reviews and alternatives. When shoppers leave Google, if they have a social media, they will generally do research on social media about a brand before they buy. In a Forbes article about the effect social media has on e-commerce, they cite a Deloitte Study “47% of millennials say their purchase decisions are influenced by social media.” While not all demographics are influenced by social media, most still look for a brand’s influence in other areas of the internet. With over 2 billion projected mobile purchases in 2017, and mobile commerce raked in over $100 Billion per year, we don’t need to stress the importance mobile phones play in the e-commerce world. There are two ways to go about selling products online: a website with e-commerce functionality or an online retailer. 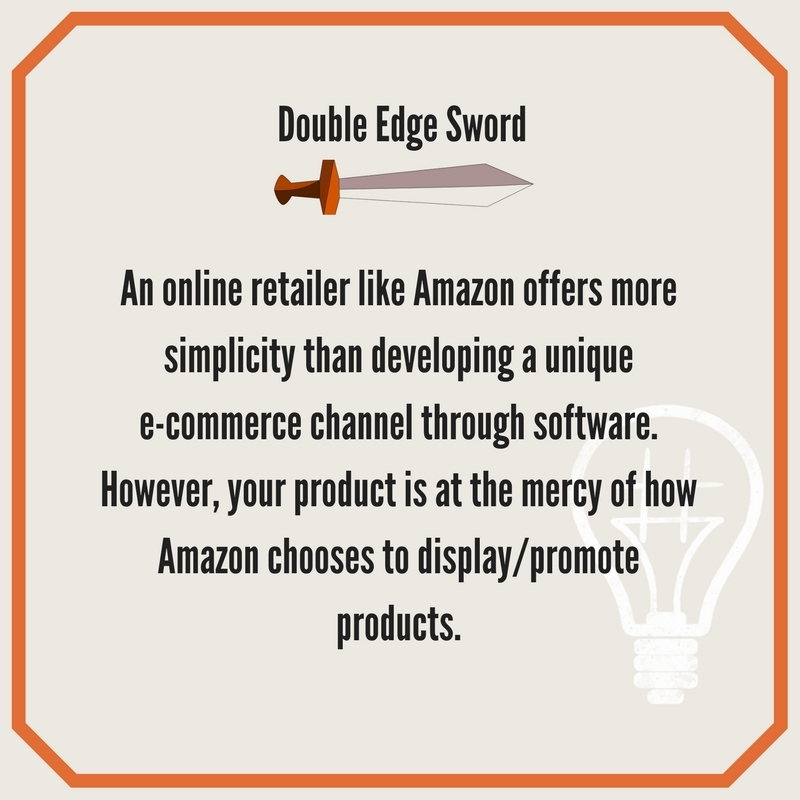 E-commerce platforms provide the platform to sell products- think Amazon, Etsy, Ebay, ArtFire, and Newegg. These are extremely popular in the DIY industry due to its ease of use. Why stress over marketing, coding, shopping cart features, portals, and funnels when a third party can do it instead? As long as the monthly fee is paid, a description is made, and guidelines are upheld, Amazon will handle the rest. On the flip side, e-commerce software demands a more personalized approach. White label software allows users to more freedom to customize their portal. Another difference between the two is the plethora of companies offering this types of software. We recommend using Shopify, Magento, Yo!Kart, Big Commerce, and Big Cartel.